Howdy partners! 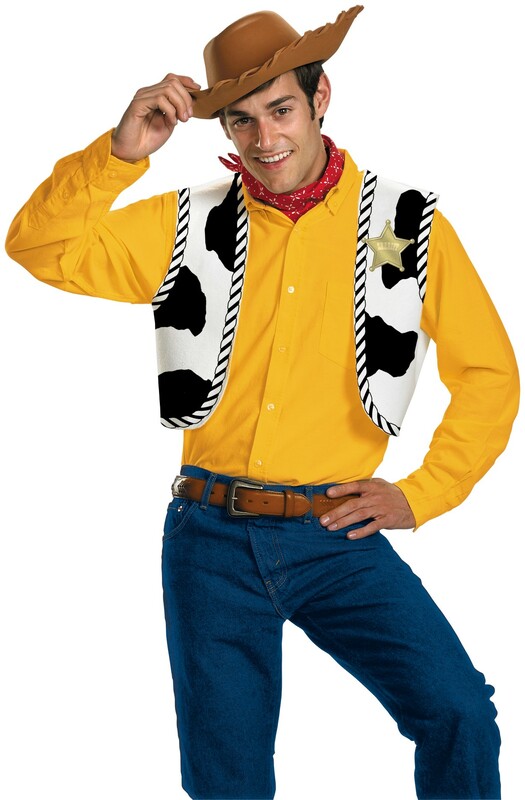 A quick and easy way to create your own Woody costume. Why not get your friends to dress as Jessie and Buzz to complete the team from Toy Story. Fits up to a men's Medium size. Vest is plain on the back. Does not include shirt, belt or pants. This is an officially licensed Disney product. Brought this for a Wild West xmas party, great price and looked good with jeans and yellow shirt.